Peter Maddison from Grand Designs Australia and his UK counterpart Kevin McCloud has a private tour of the Phillips Factory before ordering custom made shirts ahead of a special Grand Designs event in Melbourne and Sydney. Peter fell in love with the Phillips factory when he visited it as the ambassador for the hugely popular Melbourne Open House 2012 event our building was part of. He asked if he could show his good friend and “partner in design” Kevin around, so we gave them the grand tour, including how to use the button machine, which is a minefield of 70s German machinery, usually only handled by the master of buttons, Dianne. 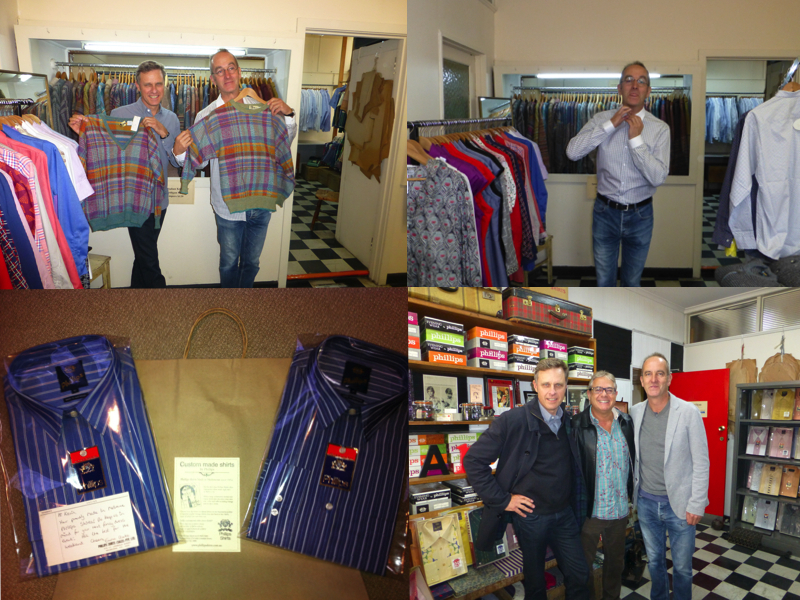 Kevin McCloud from Grand Designs UK and Peter Maddison from the Australian show were fascinated by the urban industrial innards of the Phillips Shirts Melbourne factory and warehouse. After much marveling casino online at the quirky design features of our Little Lonsdale Street factory and warehouse, both design-loving gents picked out fabrics from our immense range of vintage and contemporary fabrics from European shores for their custom made shirts. The Grand Designs Live event sold 30,000 tickets, so we”re glad we smartened the boys up with some Melbourne-made Phillips shirts. Kevin also name-checked Phillips in an interview with Grand Designs Live which we”re quietly delighted about. Check out his interview on this video link here. Kevin McCloud talks about Phillips Shirts in a Grand Designs Live interview in Melbourne.